We all have a signature drink that we order at bars when we go out with friends on the weekend. But vacation? That’s a different story. 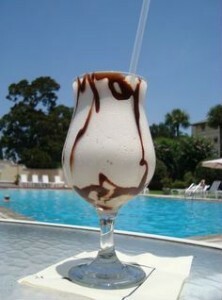 Everyone should have a signature vacation drink to enjoy for some fun in the sun. If you don’t have one yet then you’re in luck! 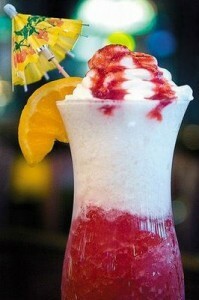 We have the top 5 Cancun vacation drinks for you to enjoy at the beach or at the club. This creamy chilled afternoon delight is made with everything we love in life, coffee liquor, chocolate, banana, and coconut! What’s not to love? Enjoy one walking by the clubs, on the beach, or at your hotel pool bar. We recommend trying one at any of our hotels. This takes everything we love about piña coladas and blends in a strawberry daiquiri to make our new best friend. A cool refreshing break from the heat and humidity with a little alcohol makes for a perfect drink at any time of day or night. Finding light and refreshing drinks can be hard if you like hard liquor. 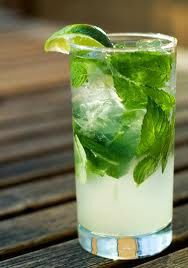 Mojitos are the perfect solution! Combining lime juice, rum, soda water and mint, this refreshingly light drink is perfect to sip on by the pool and is available in endless flavors. Vodka, 7-up, blue caracao and sweet n sour; What could go wrong? 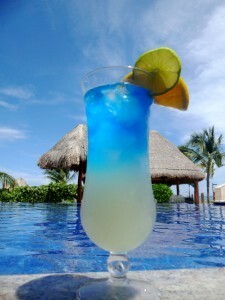 This sweet drink got it’s name for the shockingly blue color but it will make you feel “electric” all day or night. Are you a beer drinker and feeling adventurous this vacation? 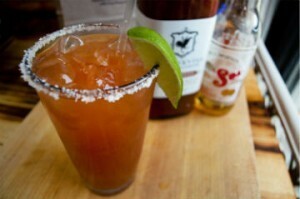 Try a Michelada. A blend of spices, lime juice, salt, and chili, all over ice will cool you off, keep you going throughout your whole day of drinking and leave you feeling ready to take on the night. 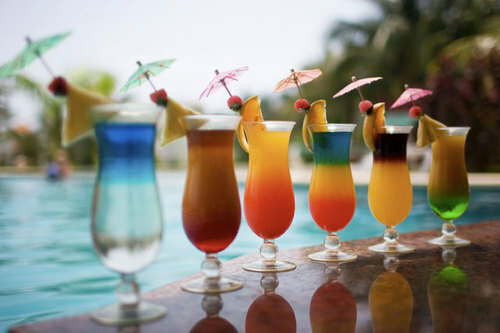 Drinking on vacation should be an experience that will leave you with delicious memories to take back home. Don’t have your Cancun vacation booked yet? Do it now!